Home » Historical Linguistics » Does grammatical influence lag behind in time? Unlike most of the postings in this blog, this one contains just a curious observation — rather than firm information — based on several things I’ve been reading or discussing recently. I would love to hear more from people who know more about this than I do. When it comes to language contact and one language influencing the grammar of another, especially in the case of a substrate language influencing a superstate language, there seems to be a considerable lag in time between the coexistence of the two languages in the same area and the penetration of the substrate’s grammatical features into the superstrate language. 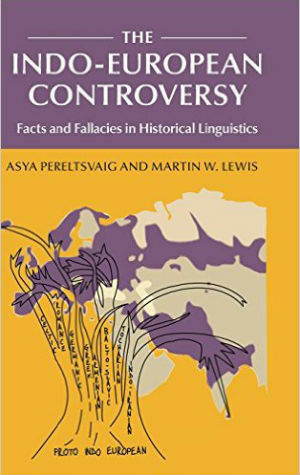 For example, it appears that the languages of the “lost middle Finns” — Murom, Meshchera and Merya — influenced Russian vis-a-vis other East Slavic languages (Belorussian and Ukrainian) and perhaps even more specifically northern dialects of Russian vis-a-vis its southern dialects. However, the “middle Finns” are said to have disappeared in the 11th-12th century CE, when they were “swallowed” by the expanding Russian settlement in the area. However, the East Slavic varieties did not split until much later: some say as late as 15th or even 16th century. Similarly, whatever grammatical influence Celtic languages might have had on Northern Italian dialects, that impact may too have taken several centuries to take effect. A similar point is often made regarding the Celtic influence on the English language, which until recently has been believed to be almost negligible. 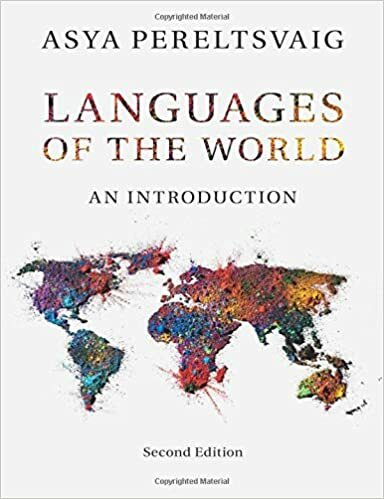 However, in recent years many people have come to believe that various peculiarities of the English grammar (vis-a-vis other Germanic languages) come from such Celtic influence. These include the do-support (e.g., Do you like Paris? ), the non-distinct reflexives and intensifiers (e.g., He likes himself too much vs. The president himself said that), the non-distinct causative and inchoative verbs (e.g., John broke the vase vs. The vase broke) and the it-clefts (e.g., It is John who made this mistake). One of the main objections made against the Celtic hypothesis is that these phenomena appear in the English language (record) too late to be modelled on Celtic. For example, the do-support begins to appear in English texts around 1300s and didn’t firm up until about the 1600s. In Shakespeare’s The Merchant of Venice we find examples of negation and questions without do-support, such as A kinder gentleman treads not the earth and Why sweat they under burdens? — whereas Modern English counterparts would be A kinder gentleman does not tread the earth and Why do they sweat under burdens?. But a closer look at the interaction of Celtic-speaking peoples and the English speakers may reveal why there was such a time lag between the appearance of Anglo-Saxons and the full penetration of Celtic-inspired grammatical features into the English language (note: I speak of grammatical — i.e., morphological and syntactic — features here, not phonological properties). After all, it is conceivable that substrate effects such as do-support could stay, so to speak, “off the radar” for some time because they would be associated with colloquial, low-prestige registers, and thus not make it to the written record. Do-support in particular appears first in Middle English dialectal texts from the south and west. These are, in fact, the areas where Celtic languages were spoken nearby throughout the Middle Ages. The Celtic language especially relevant in this connection is Cornish, a now-extinct tongue that was spoken in Cornwall until 1777, when its last fluent speaker passed away. The south-western parts of the Anglo-Saxon realm were indeed the “outskirts” of the Germanic-speaking Britain of the time, so in many places Germanic settlers co-existed — peacefully or otherwise — with Celtic speakers. But when we think of the establishment of do-support in English, we think chiefly of the London dialect. And of course, it is not unexpected that it took a long time for a dialectal feature to get into the more prestigious dialect of the capital. I believe the same lag between the contact with the substrate and the impact, especially on the standard form of the superstrate, and the slow creeping in of features once perceived as dialectal applies for the Finnic traits that eventually made their way into Russian. But I may be wrong on this. Does anyone have more input on this? I’d love to know more about this matter, so comments very much welcome.